Hot cereal is a popular breakfast in America. It’s similar to warm oats with milk! 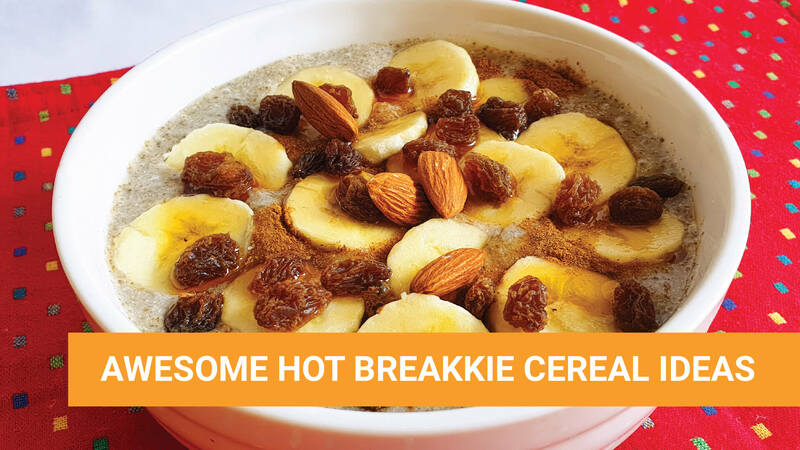 This recipe will show you how to make a HEALTHIER, MORE NUTRITIOUS version of hot cereal using RESTORE Chia. Why is it healthier? Because it contains a THIRD of your daily fibre intake and contains 3 different fruits! 1 heaping tablespoon Restore Micro Sliced Chia Seeds. 1. Add 1 heaping tablespoon Restore Micro Sliced Chia Seeds into mixing bowl or blender. 2. Add 400 ml hot water. 4. Mix well OR blend until smooth. 8. Add ANY fruits, nuts, raisins, honey, etc.